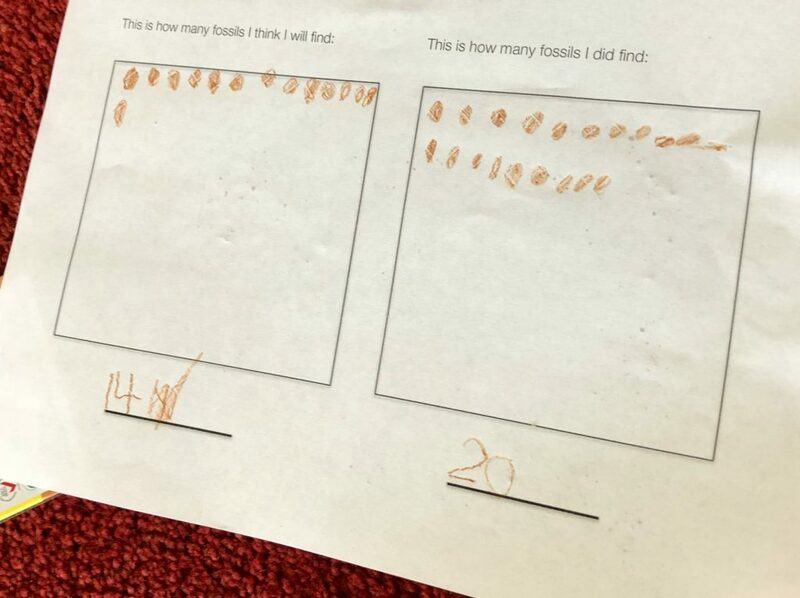 This week we are talking about dinosaurs and fossils. 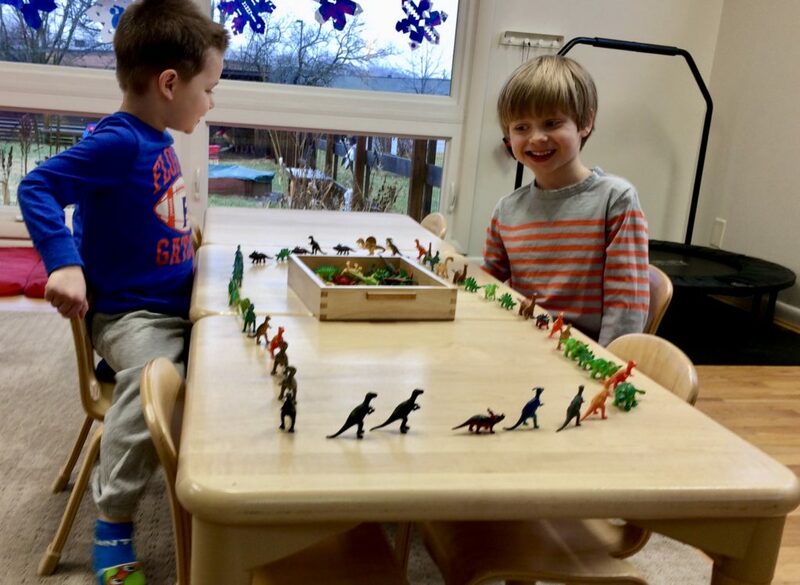 We talked about how dinosaurs came to be, when they lived, what modern animals they are related to, and how they became extinct. To everyone’s delight, we set out our collection of replica dinosaurs. These replicas are from the Carnegie Museum series, ranging from 1:10 to 1:60 in scale, and painted to reflect scientists’ best guesses on what each dinosaur might have looked like. 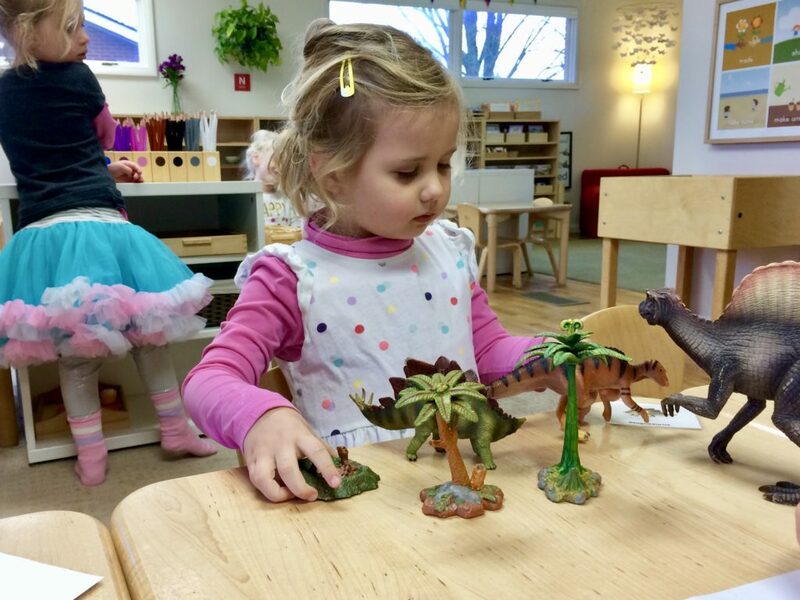 Accuracy in dinosaurs is very important at this age, as many of our students are already experts. Children also explored dinosaurs by cutting them out of play dough, counting and sorting them, reading many different books about them, and playing dinosaur games. This week, we also talked about fossils and how they are formed, reenacting the cycle with play dough. 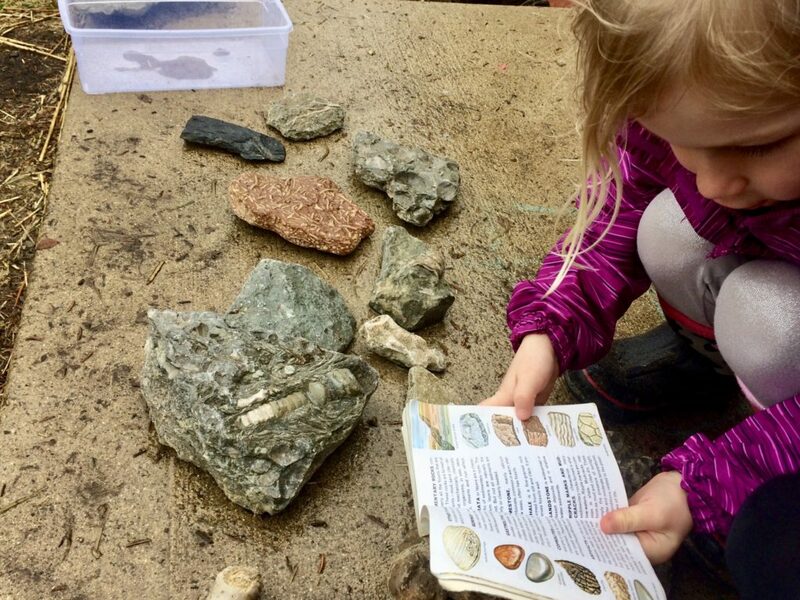 Students were so inspired, they got fossil books to compare with the fossils in our outdoor classroom. 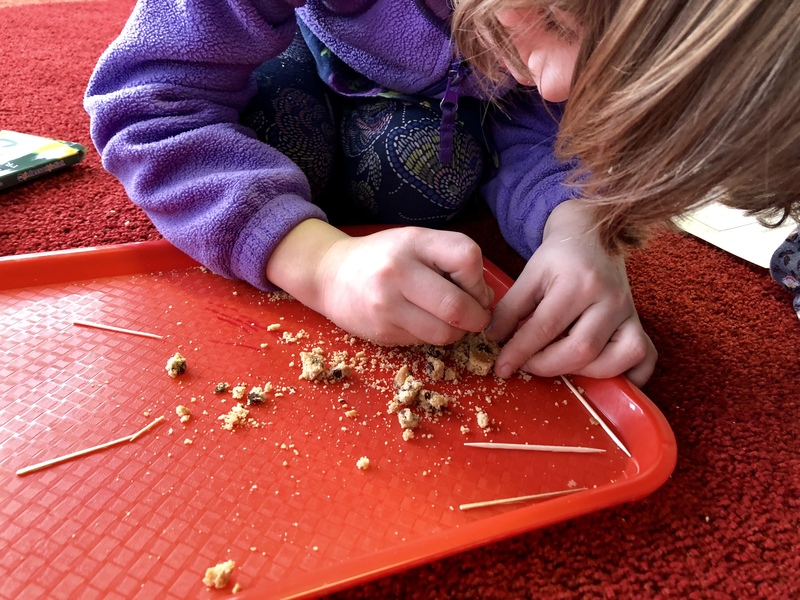 Kindergarteners became paleontologists and used the scientific method to find “fossils” in chocolate chip cookies. What a delicious Kindergarten studio!